Beautiful split foyer with open floor plan. The rock work that surrounds the bottom exterior add character and stands out from the rest! Nestled in a quiet neighborhood with beautiful view. 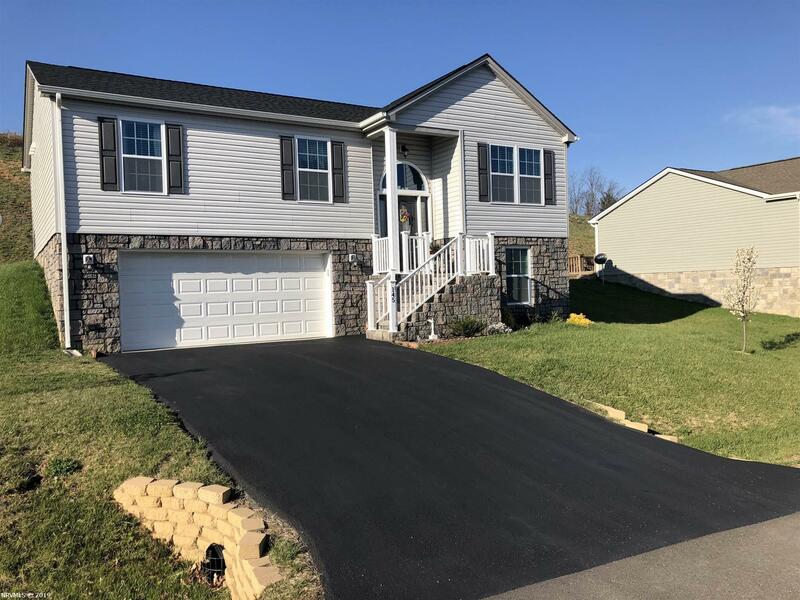 Convenient to RT460, I81, restaurants and Shopping. Real Hardwood floors by "Bruce" cover the kitchen, dining area and baths. Cozy carpets in the bedrooms. Nice size master bedroom with adjoining bath and walkin closet. Beautiful oak cabinets in kitchen and baths. Some of the many amenities include: side by side refrigerator, garbage disposal, self cleaning range, dishwasher, microwave, washer and dryer. Nice private deck on the back for relaxing or entertaining. Directions: Roanoke St To Depot St, Right On To Hans Meadow Rd, Left On To Robin Hood Dr, Home Is On The Left.